AS CHILDREN gathered waiting for their AFL clinic with the Brisbane Lions to begin, one eager beaver stood out amongst the pack. 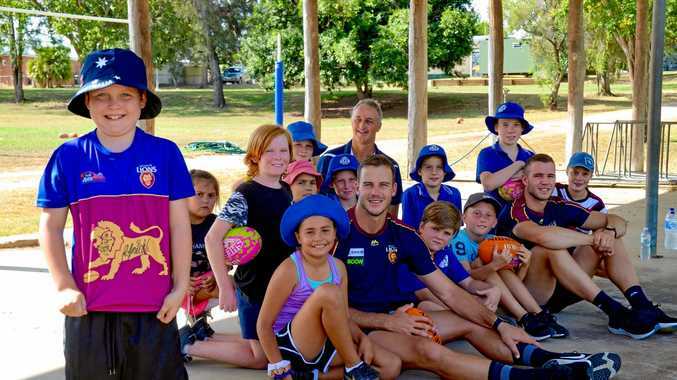 Gayndah student Michael Cook was donning his very own Brisbane Lions jersey. And it was a thrifty find. "Mum found it at Lifeline," he said. Michael's jersey received two new signatures on Monday. Stoked with his new fit and his new-found love of AFL, nothing topped his day more than playing games with Brisbane Lions Ely Smith and Josh Walker. Last year Michael also met Sabrina Frederick-Traub and Dayne Zorko when they visited Gayndah State School hosting AFL clinics. "My favourite thing about it is meeting different people," Michael said. "We get to play all these fun games like Spiders and Flies." 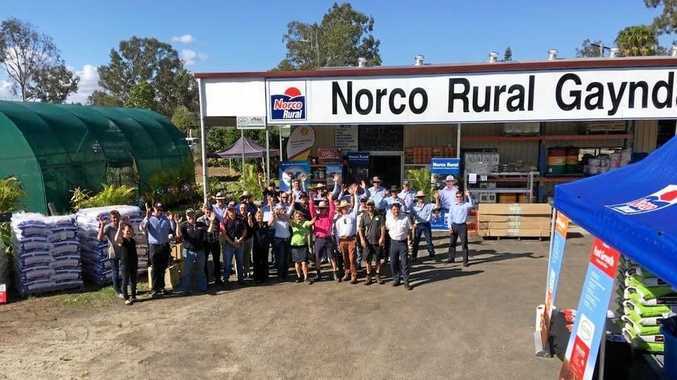 Walker and Smith set out on a tour of the North Burnett, visiting kids at Boynewood, Mundubbera, Gayndah, Biggenden and Dallarnil. Despite the code not being the most popular football in the region, Walker said students took to the activities as enthused as those in other regions. "It makes it really easy for us," Walker said. "We understand it's not an AFL dominated region but they're really willing to have a go and play some games. "They seem to like the ones where they get to kick the ball at us, bomb the coach." Walker's statement was met with nods of agreement from the students.